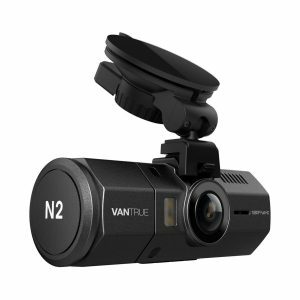 Amazon (Vantrue) has an upgraded Vantrue N2 Mini Dash Cam 1080p HD Sale, $125.99 after Coupon Code: DZVIUYZX - Free Shipping. Expires Soon - Rated 4 out of 5 stars. Mini dual lens dash cam: Small Size, front facing and back facing camera in one body. On dual cam recording mode, simultaneously captures the road ahead and the cabin in HD video (Front:1440x1080p30 HD, Rear: 1280x720p30 HD). On front cam recording, 1920x1080 @30fps Full-HD resolution of front cam provides great sharp video quality and super night vision with infrared light for the front cam.